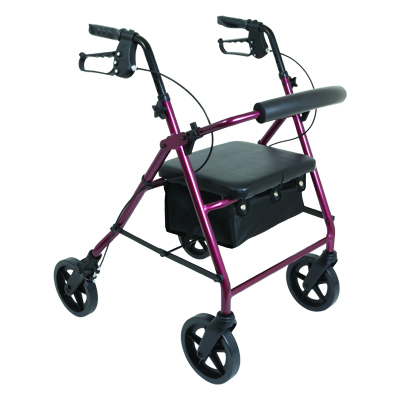 The ProBasics Deluxe Aluminum Rollator has large 8-inch wheels for improved maneuverability and is ideal for outdoor terrain. 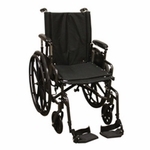 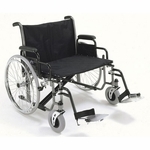 The padded seat and removable padded backrest provide a comfortable resting area. 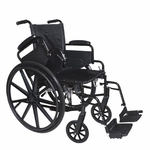 It features easy-to-operate ergonomic hand brakes, a water-resistant nylon pouch, and a built-in fold strap for easy storage and transport. 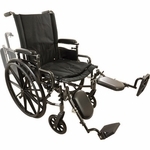 Supports patient weights up to 300 pounds.